Bigfoot News | Bigfoot Lunch Club: Abominable Science! Bigfoot: Most people imagine an ape-like creature that stands on two legs, but the original story of Bigfoot describes the creature quite differently. The first “sightings” of Bigfoot in North America occurred in the 1920s. A man named John W. Burns gathered reports from people of their encounters with a creature called Sasquatch, described as hairy giants who looked like giant Native Americans. They had clothes, fire, and weapons and lived in villages. And their hair? According to the stories it was not all over their bodies but worn very long. The Yetti: Also referred to as the Abominable Snowman, the creature got its name from a team of explorers scouting a route for an attempt to climb Mount Everest in 1921. The team saw tracks that looked like a human foot. Though Lieutenant Colonel Charles Howard-Bury, the leader of the expedition, surmised that the footprints were caused by a large grey wolf, his Sherpa guides said that it was the tracks of a wild man whose kind were found in remote mountains. The first recorded sighting of a beast that fit the description of a Yetti happened more than 180 years ago when Brian Hodgson, an English explorer living in Nepal named, wrote that his shooters were alarmed by a wild man. However in the paper, which was published in the Journal of the Asiatic Society of Bengal, he also wrote that he doubted their accuracy. While we haven't read it, you can bet the Skeptics like it. Some Amazon.com reviewers felt, "The authors treat figures in the field of cryptozoology with perhaps more empathy and respect than they deserve, and there is generally a studied avoidance of the (understandable) temptation to intellectually skewer some of these folks." Really? The authors were too soft on Cryptozoologist? Bill Munns left a review on Amazon.com. We were able to confirm it is, indeed, Bill Munns, the creature FX expert and author of the Munns Report chronicling his extensive research of the Patterson/Gimlin film. In his review he felt there was a clear bias and, "[Daniel Loxton] humiliates the scientific process and journalistic professionalism alike." 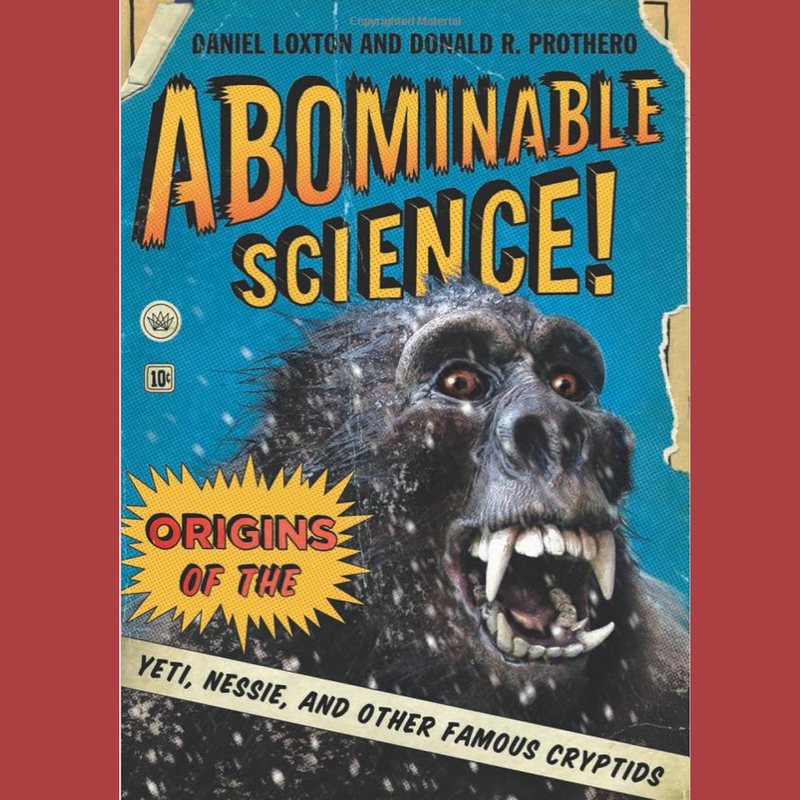 This book entitled "Abominable Science" achieves a level of scientific and journalistic hypocrisy that warrants the publisher recalling the book. The reason is that one of the co-authors, Daniel Loxton, has written a fairly substantial portion of this book practicing the very "abominable science" the book proportedly sets out to expose. In other words, he has demonstrated a journalistic or scientific hypocrisy that is either grossly negligent, grossly incompetent, or so blatantly biased that he humiliates the scientific process and journalistic professionalism alike. In Chapter One, Co-Author Donald Prothero describes very admirably and meticulously what is good science and what is not. Sadly, in Chapter Two, Co-Author Loxton proceeds to evaluate the famous 1967 Patterson-Gimlin "Bigfoot" film from page 44-50 and Mr. Loxton does nearly everything that his co-author has just explained to us that we cannot rely upon. Co-Author Loxton is discussing a topic in which there is a wealth of fine empirical data and a equally voluminous heap of poor anecdotal evidence and the author totally dismisses the fine empirical data with absolutely no justifiable explanation, and wallows in the poor anecdotal evidence instead as if it were splendidly scientific. The author also looks to material nine or more years outdated, and demonstrates virtually no awareness of new research, data, developments, or shifts of the landscape of the controversy more recently than 9 years ago, when there has been tremendous new material and analysis work worthy of his evaluation. This is intolerable and unconscionable in a work proportedly to be educating the public about good science. While my criticism focuses on Mr. Loxton's segment of the book focused on the famous 1967 Patterson-Gimlin Film, we must wonder if that travesty of hypocritical fodder is an isolated moment of scientific dementia or is it the tip of a much larger iceberg of unscientific and heavily biased writing throughout his half of the book's authorship. When a write "cooks" a story with disregard for facts and academic responsibility or journalistic fairness and accuracy, that incident generally casts a profound suspicion over the entire body of the writer's work. Thus, while I focus this concern on one section, the concern may put a serious cloud over the book in general.